Before you, in a valley long forgotten, stand the ruins of the Temple of the Abyssal Winds. 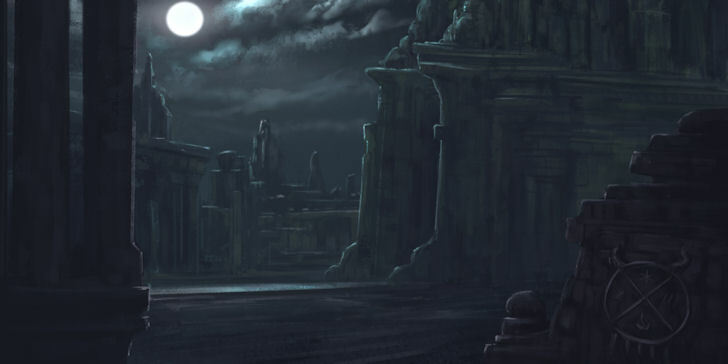 The depths of the Temple must contain the demoness Urgoroth, threat to your home and country, as well as secrets of your family past, and your kidnapped uncle. Now, into the Temple!